Designers by temperament are not social animals, but they are expected to communicate to their clients and be able to deliver what their clients want, be it an approval of a prototype for mass production, or a piece of bespoke design for a private customer. But it is a rare opportunity for a group of professional designers from different fields coming together to present their views to an audience and to share their experience with one another in an open forum. 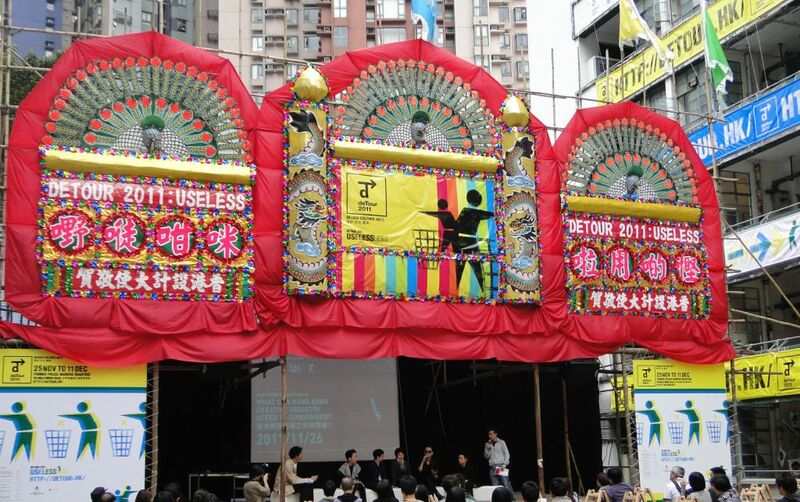 Last year's Hong Kong Design Week Detour 2011 organized by PMQ, I was invited to participate in such an event. Most speakers were Hong Kong's first generation designers, and many, like me, ran their own design houses. I was the only fine jewelry designer being invited. The gentleman sitting next to me was the well-known product designer Alan Yip. Alan was famous for his sushi calculator, a rollable pocket electronic calculator Flexical, and his newest designs include popular accessories for Apple. He set up his own product design company after a short but impressive career in several international companies. I presented my signature floral designs, with my design philosophy and some credits that most seasoned designers have the pleasure to pocket during their career. Some product categories, like my jewelry and Alan's Flexical, are meant to be lasting designs, which means they are going to be saleable for a long period of time. Some are not, like a fellow presenter, Jason Siu, a famous action figure designer running his own company, told us that he had to wait anxiously to see the response to his new baby, every season. We empathized with Jason's anxiety, but we can also appreciate, and perhaps envy, his overwhelming joy when one of his new babies shoot the roof! We all share the same view that Hong Kong clients are becoming more and more discerning, sophisticated and cosmopolitan in outlook. On the other hand, many Hong Kong designers got initial international recognitions from overseas professional bodies or critics, which is understandable because our design industry and her supports in Hong Kong is still young. We enjoyed the day, enriched by the exchanges with our fellow designers from different fields, and the venue with Cantonese Opera set is just stunning! Last but not least we vowed to educate the public on subjects related to arts and design, each in our own way. The launching of this blog last month, though a bit belated, was one of my humble contributions in this area.